Autumn coordinated wild dog baiting. Blue light shearing gets a bronze award. 1. Autumn coordinated wild dog baiting. Do you have wild dogs on your property? Do you think that there are wild dogs on your neighbour’s property? The autumn round of coordinated wild dog baiting is quickly approaching and is an important tool that can be used to help manage wild dog numbers. While there has been a significant amount of investment in the construction of fences, alone they will not solve the wild dog problem. You will need to do something else. That something else may be trapping, shooting or…. baiting. Have a think about the best spot to bait your property and have a chat with your neighbour to see if you can work together to target a hotspot. To view the wild dog control planning calendar click here. For tips on how to effectively bait for wild dogs, including information on the distance restrictions, neighbour notifications and warning signs, click here. 2. What’s going on over there? Have you ever copied or started doing something different because you saw someone else doing it first? Yes? Leading Sheep is interested in helping you learn more from other producers in your region. Click here to register your interest in going on a drive to look at what other people in your region are doing that will help you. Expressions of interest close 30th of April. 3. Blue light shearing gets a bronze award. The Blue Light Shearing program commenced in 2017 with partnership between Cunnamulla P-12 State School and Police Liaison Officer Laurie Bateman to provide students opportunities to develop employment skills, work ethic, and teamwork in a work environment. Students from Cunnamulla, Charleville and St George work towards a Certificate II in Rural Operations. 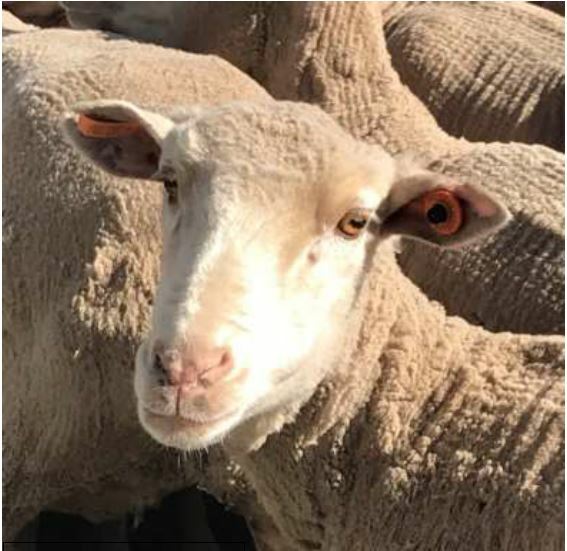 Many stakeholders have assisted the program including Qld Police Service, Qld Blue Light, SkillCentred, Australian Wool Innovations (AWI), RAPAD Employment/RESQ, UQ Gatton Vocational Education Centre, various trainers, and a number of wool growers within the Cunnamulla and surrounding districts who have provided their facilities and sheep for the program. The program collected a Silver Award for Innovation at the 2018 QPS Awards for Excellence and a Bronze Award at the Australian Crime & Violence Prevention Awards. Producers in the region who are interested in assisting the program, please click here. 4. What’s on in Queensland? It’s the end of March already, the year is 25% over. In the last three months a lot has happened in Queensland. There has been a major flood event, our thoughts, prayers and sympathies to the producers and people in the north. There has been some isolated relieving rain, while many of the producers in the Leading Sheep area are still waiting their turn. Will there be an autumn break? As we speak there are a couple of ex-cyclones floating around, so we’ll see if it hits the gauge. Show season is coming up, kids are home from school and life has gotten very busy, very quickly. While what you are doing is important, please don’t forget to invest some time in you and your business. Please see the list of events below that will help you improve your business. 28 March Workplace Essentials, Roma by Growcom. For more information and to register click here. 29 March Data to Decisions, Longreach. For more information and to register click here. 1 April Phoenix Payroll, Webinar by KeyPay. For more information and to register click here. 3 April Managing Climate Risk in Ag, Stanthorpe. For more information and to register click here. 4 April Practical Exclusion Fencing Workshop, Stanthorpe by Leading Sheep. For more information and to register click here. 9 April Animal Health, Blackall by Agforce. For more information contact North West Regional Manager Vol Norris on 0488 002 038 or norrisv@agforceqld.org.au. 10 April Animal Health, Yaraka by Agforce. For more information contact North West Regional Manager Vol Norris on 0488 002 038 or norrisv@agforceqld.org.au. 11 April Animal Health, Windorah by Agforce. For more information contact North West Regional Manager Vol Norris on 0488 002 038 or norrisv@agforceqld.org.au. 12 April More Lambs > More Sheep, Mungallala by Leading Sheep. For more information and to register click here. 17 April Early Weaning, Webinar by GrazingFutures. Save the date. 18 April How to set up a new set of books, webinar by Phoenix. For more information and to register click here.